This is advanced warning for all existing and future clients that the Government has indicated that planning application fees are set to rise by 20% by the end of this year. The draft legislation already exists. At the moment it is looking like a fee for a single dwelling will rise from £385 to £462. 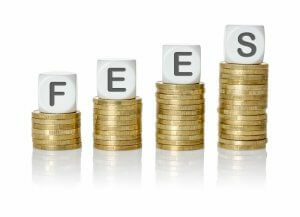 Upper thresholds on fees are also set to rise. The maximum fee for a residential scheme is currently £250,000. This will rise to £300,000. We are therefore expecting a bit of a rush to submit planning applications before the end of the year so please keep this in mind, and seek our advice on whether or not there is sufficient time to submit under the current fee schedule as soon as possible. The regulations as currently drafted will also allow councils to charge a planning application fee where they have made a direction withdrawing permitted development rights under an article 4 Direction, or where permitted development rights have been withdrawn by a condition imposed on a planning permission. This was always seen as a reason to think seriously about whether or not it was truly necessary to remove permitted development rights. One therefore wonders if councils will seek to routinely remove permitted development rights on future applications for housing given that it will generate fee income. The draft fee increase legislation has now been approved by the House of Lords, and will be debated in the Commons next Wednesday (13 December 2017). It therefore seems that the fee increase won’t come in until January 2018 at the earliest as the regulations only automatically come into effect 28 days after they have been approved by both houses.